This morning I had to return to Pensacola Beach with my trailer to bring equipment back from Youth Camp. I had to be there at 9:30 a.m. for check-out time. I decided to go early to do a little fishing. 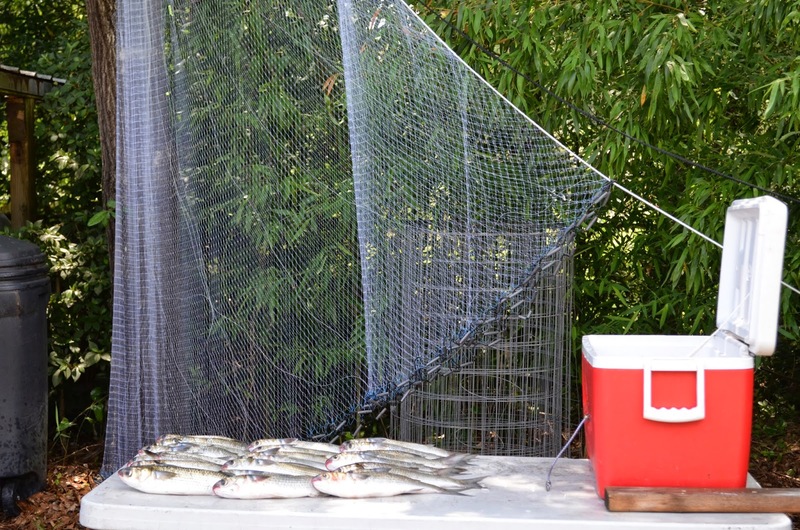 Got to the water at 6:30 a.m. Was done by 8:30 a.m.
25 mullet with 10' cast net. (I caught 23 of them in one throw).